The City of Long Branch, NJ has expressed interest in utilizing UAS in their lifeguard operations. 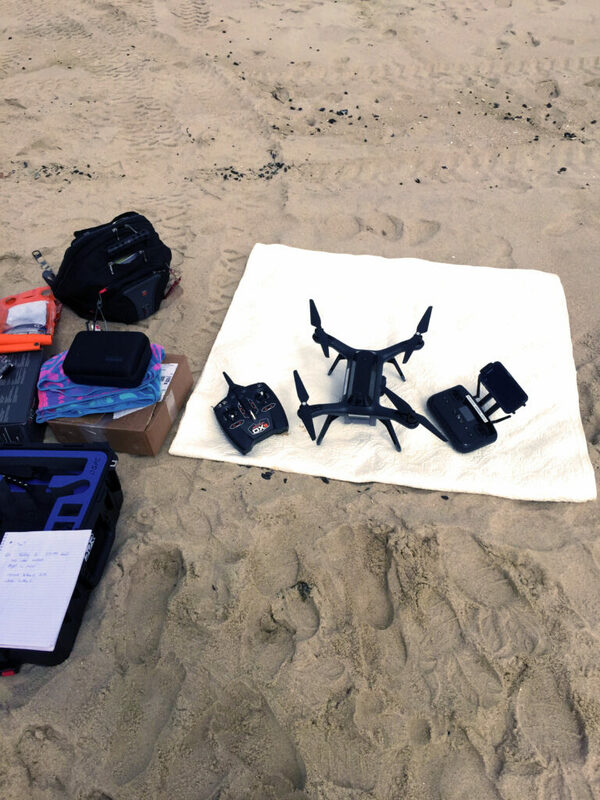 The potential applications they foresee are detection of submerged victims, detection of sharks in the area, communicating with victims and use of UAS in long-range rescue far from shore. The Water Rescue Team monitors 4.3 miles of coastline along the Atlantic Ocean and 2.5 miles along the Branchport Creek. The goals of this research project are to develop a concept of operations (ConOps) for the integration of UAS into their lifesaving operations. We will develop requirements for UAS based on user needs and expected environmental conditions, identify stakeholders in the system, and determine if this ConOps can be applied to other lifesaving organizations. Other countries like Iran, Chile and Australia have already begun testing UAS for lifesaving operations. This project would place Rutgers at the forefront of UAS research. The original goal of finding a device or drone suitable for the Long Branch Guards came to an end when we decided to create one ourselves. There were plenty of drones on the market but none met the criteria we set for our search. Undergraduate Jaden Dicopoulos began modifying and attaching a 3D printed device on the bottom of a 3DR Solo drone. The device would take the payload of a life preserver and drop it when given a signal. After successful tests of the device, it was considered to be fully functional and operational as a lifesaving unit. Currently only one prototype exists but our team plans to find the funding to make more and improve the current model. The device was made in house at Rutgers University and the 3D printed parts were made at Rutgers Makerspace. The outside case, electronics guard and pin puller are all 3D printed to make sure that there were a proper fit onto the drone. The main concerns we had for constructing the device were staying within our weight limit and not interfering with the systems already inherent in the drones system, such as stability, connection to the controller, and blade movement. The 3DR solo drone has an accessory bay that allows for adaptations, but is limited by four machine screws. So the build had to revolve around those screws and the camera. So after those limitations were met and accounted for room had to be made for the electronics. The original build didn't have a guard for the electronics, but since this device will be at the beach it was decided that they needed to be protected. A complication that came with the electronics guard was that the pins that needed to be pulled to re-arm the device where now obstructed. So to fix that, the re-arming pin puller was made. The problem with the pin puller is that is separate from the device, so it can be lost or troublesome to use correctly every time. Future improvements will include attaching the pin puller to the device and waterproofing the entire product to increase its longevity in the environment it will be operating in. Check out some videos, YouTube videos	of the drones and the release device in action.